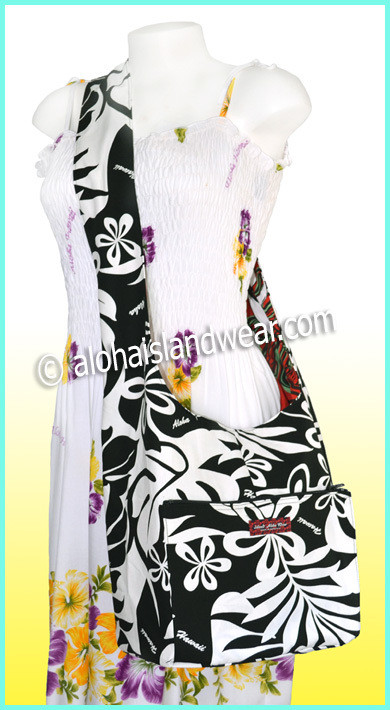 This stylish Hawaiian floral print bag is designed for cross body style with a long and double folded material strap, this bag is reversible with random chosen internal pattern, one external front pocket with zipper, Great for student school bag, shopping bag, travel bag or perfect gift as Hawaiian souvenir for some one. 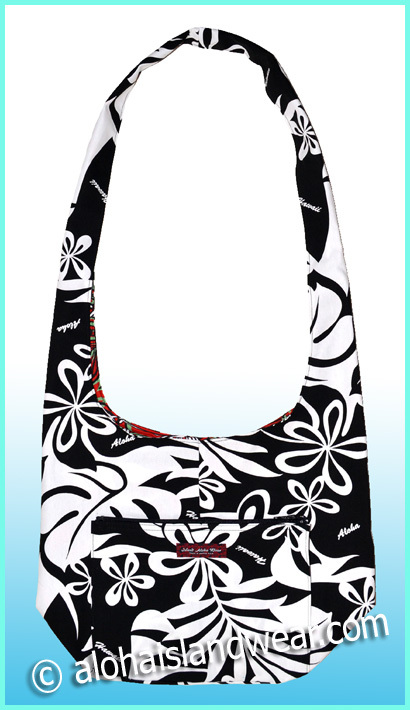 - Bag Base: 10" X 7"
- Bag total length: 33"
- Material: External 100% canvas and internal poly/cotton with random chosen pattern/color. Due to the pattern were cut from random position of the fabric, the print laid out position of each bag is not look exactly same as the photo shown on this page.